The top golf companies are also those who spend top dollars to advertise and promote their name. There are virtually hundreds of golf manufacturers in the market today. Everything from small, mom-and-pop custom club fitters to large international conglomerates that cross over sporting goods boundaries. Golf is such an old game that companies that were once titans of the industry no longer have any bearing on the game. Several companies rise to the top when you think about the most successful golf-related companies in the world. Nike owns more than half of the overall sports market. Until the mid-1990s, this Beaverton, Oregon, company had virtually no brand value in the game of golf. Then came Tiger Woods. Woods signed his first contract with the then-shoe giant in 1996. Buoyed by the success of their No. 1 golfer as much as their evolving line of equipment and apparel, including clubs, balls and, of course, footwear, Nike consistently ranks in the top five of golf companies worldwide. Callaway came about in the 1980s and today is one of the leading golf brands in the United States and beyond. The company was founded by a wine maker, no less. Ely Callaway bought a company called Hickory Stick and changed the name over to Callaway Hickory Stick. The name became its current Callaway Golf Company in 1988. Its most successful product, Big Bertha metal woods, were launched in 1991 and spurred its growth over the next two decades. The company sponsors a number of the top professional golfers in the world, including Phil Mickelson, Ernie Els, Arnold Palmer and Annika Sorenstam. It also bought out such legendary golf companies as Ben Hogan and Top-Flite. No golf ball brand carries more weight on the PGA Tour than Titleist. It claims the No. 1 ranking in golf ball usage (as of 2010), an accomplishment that overshadows the fact that the Titleist brand is just one of many that fall under the Acushnet corporate moniker. Other products that the billion-dollar golf conglomerate produces include Pinnacle golf balls, Scotty Cameron putters and Foot Joy golf shoes and apparel. 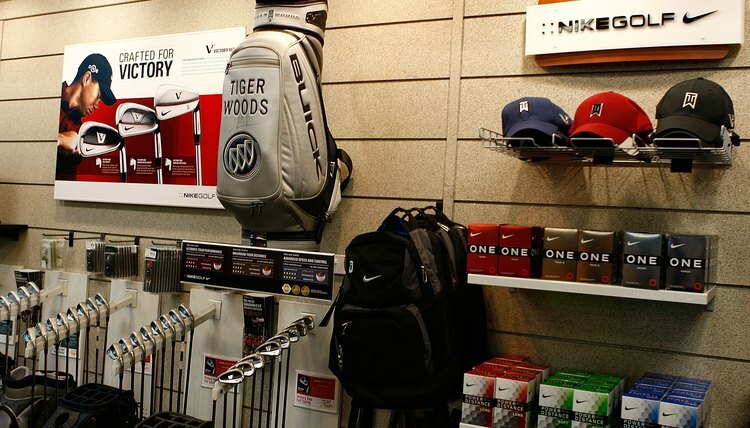 The company line has been to keep many of its products in the hands of golf pro shops, but it also has extended to include golf retailers around the world.